” Over Kill ” is an original still life watercolor painted the realist tradition. 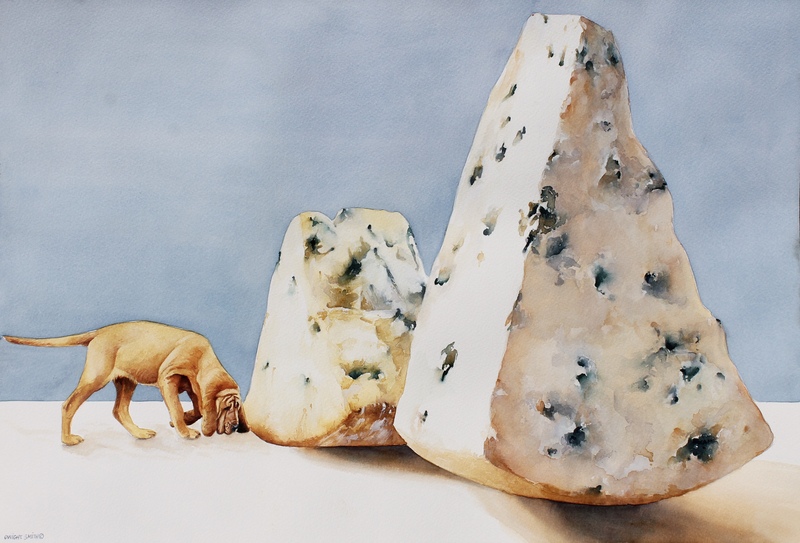 Would you require a Bloodhound who has great sniffing ability to locate your blue cheese? Probably not. This large painting is reminiscent of artist Wayne Theibald or pop art. It is a horizontal culinary themed watercolor. ” Over Kill ” will be on view and available at UGallery.com. as well as more of my watercolors.